We’d love your help. Let us know what’s wrong with this preview of Showcase Presents by John Broome. This was disappointingly more of the same as Vol. 1 of GL, and like bad 60s DC in general. Gardner Fox largely took over the reigns from John Broome in this volume. Fox is marginally a better writer in my opinion, but that don't mean he's good. A lot of dependence on hokey "scientific" knowledge to have GL attacked by amoebas and scientifical derivations of yellow, aliens from random planets that won't ever come back, hokey dialogue. No big character moments, no deaths, introductions, nothing. IT' This was disappointingly more of the same as Vol. 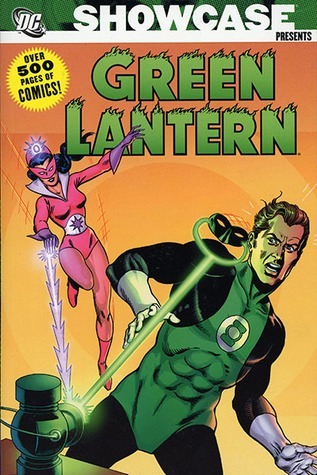 1 of GL, and like bad 60s DC in general. No big character moments, no deaths, introductions, nothing. IT's just bland more than anything else. It's the least special DC Showcase I've read in my life, it was that unclever. Very entertaining...some of the characters and situations show you just how different the '60s were.